The locks around your home and at work play a huge role in your everyday routine. When they break or malfunction in any way, the consequences can be huge. We offer 24/7 locksmith services so that we can be there to help at any time. Here are some examples of situations where you will need to contact a 24 hour emergency locksmith company like us. This can happen at any moment. All it takes if for you to lose the keys while at lunch or have them stolen from you at some point in the day. The most important thing is to get back in safely and to ensure the security of the building as quickly as possible. One of our lockout service experts will know exactly how to crack the lock on your door gain access, we can then replace the lock if you think it's necessary, as well as make you a new set of keys to go with it. We offer 24/7 locksmith services so that we can run out to you first thing in the morning or late at night. You can just as easily misplace the key to crucial cabinets and storage devices like safes and other containers. We have the expertise to unlock all forms of locks, new or old. As long as the lock on your container is in working condition, we will be able to crack it. We can also supply a fresh set of keys as part of the service. We do everything we can to arrive promptly and get the job done quickly in our out of hours call outs. 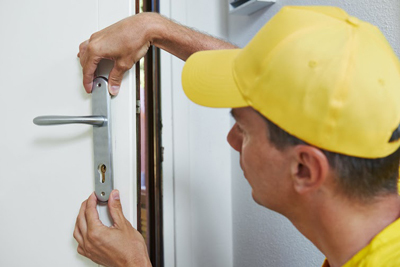 If you suffer an emergency situation, call us right away to get a quote or to arrange a visit from one of our highly trained locksmiths as soon as possible. We can assist with all types of lockout situation, including car lockouts and ignition locks. Lock repairs and replacements are also possible.